Post doctoral researcher Anders Skjäl was featured in the latest newsletter from “Resurscenter för matematik, naturvetenskap och teknik i skolan”. Prof. Jukka Corander’s research is featured in an interview in the largest news paper in Finland, Helsingin Sanomat. The annual seminar in Optimization and Systems Engineering, held on November 15, 2013 in Forum Marinum, Turku, is featured in Åbo Akademi University’s Swedish magazine “Meddelanden från Åbo Akademi” issue 14/2013. More information here. The annual seminar in Optimization and Systems Engineering is the topic of an article in Åbo Akademi University’s Swedish magazine “Meddelanden från Åbo Akademi” issue 1/2013. More information here. Professor Jukka Corander was interviewed in the newspaper Hufuvdstadsbladet January 17, 2013, regarding the use of statistical methods for studying resistant bacteria. Read the article here. Professor Jukka Corander speaks about breakthroughs in the analysis of resistant bacteria through the means of statistical data analysis at the Academy of Finland breakfast meeting January 16, 2013. Some of the results were recently published in a paper in the journal Genome Biology. More information (in Finnish) can be found here. Aided by one-hundred year old weather maps and his knowledge in optimization, PhD student Mikael Nyberg won a leg in one of the world’s largest virtual regattas, Volvo Ocean Race Game, with over 178 000 registered boats and about 90 000 participants. 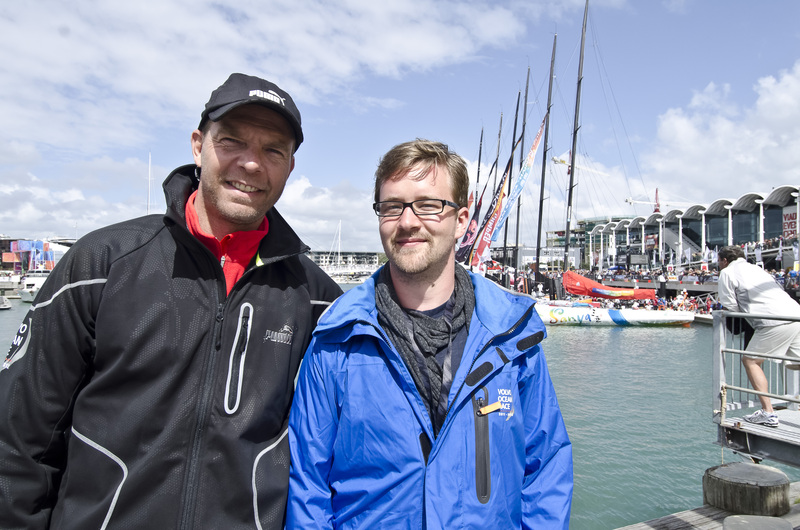 Nyberg was awarded a trip to Auckland, New Zeeland to visit the real Volvo Ocean Race when it visited the city. The official magazine of Åbo Akademi University writes about the annual seminar in Optimization and Systems Engineering December, 8, 2011, and especially acknowledges professor Ignacio Grossmann who held the plenary lecturer. Prof. Grossmann has a honorary doctorate from Åbo Akademi University, and is a member of the International Scientific Panel of the OSE group. Read the article here. Post doctoral researcher Andreas Lundell presents his research within the Optimization and Systems Engineering research group in Åbo Akademi University’s magazine number 17/2011. Read the article (in Swedish) here. Professor Ralf Östermark is intervued about fast parallel computations in Meddelanden från Åbo Akademi, the official magazine of Åbo Akademi University, number 17/2011. Read more here (in Swedish).